Australia’s gaming king Len Ainsworth has given $5 million towards redevelopment at St Vincent’s Private Hospital Sydney, Liz Henderson reveals. Len Ainsworth speaking at a function on February 24 when his gift was announced. 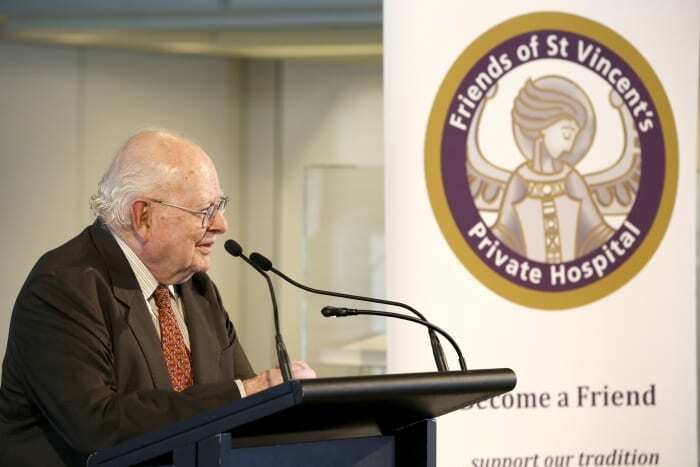 A $5 million donation from businessman and philanthropist, Len Ainsworth, kick-starting a $115 million redevelopment at St Vincent’s Private Hospital Sydney, was announced at a special function on February 24. The St Vincent’s Private Hospital development will add a new East Wing with beds, state-of-the-art operating theatres and other facilities. It will also enable refurbishment of existing hospital wards. The gift is just the latest generous gesture by 92-year-old Ainsworth, who in June 2014 jumped from No. 22 to No. 19 on the BRW Rich 200 list and, as of January 2015, had a net worth of $1.2 billion according to www.Forbes.com. Best known for founding the rival gaming businesses, Aristocrat Leisure and Ainsworth Game Technology, Ainsworth has supported St Vincent’s for 23 years. While he has revealed that he takes “great satisfaction in being able to give a little bit away here and there,” in 2012 he pledged to donate more than half his personal fortune (then reported by The Sydney Morning Herald to be $3oo million) to charitable causes. In the past three years Ainsworth has reportedly donated a total of $30 million to hospitals, universities and medical research. That has included a $5 million gift in 2013 to Sydney Children’s Hospital Foundation, towards a new clinical services wing called the Ainsworth Building. This followed a $1.5 million donation in 1996 to fund construction of the current Sydney Children’s Hospital building. In 2014 he committed $1.25 million over five years to create the Ainsworth Chair of Technology and Innovation – jointly managed by Cerebral Palsy Alliance and the Grace Centre for Newborn Care at The Children’s Hospital at Westmead – to fast-track development of treatments and interventions for childhood disabilities and illnesses. “I come from a family with a number of scientific and medical people in it,” Ainsworth told the Australian Financial Review. 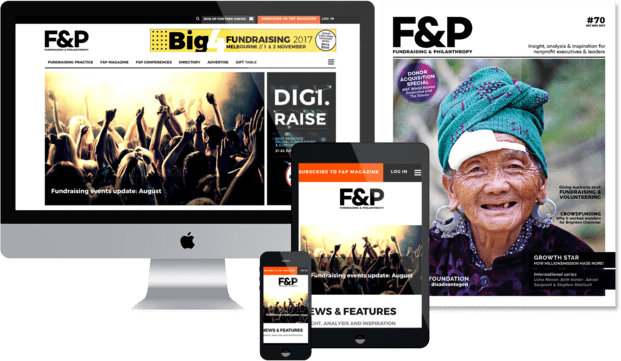 Liz Henderson is the editor of Fundraising & Philanthropy Magazine.